There is one thing you must do before anything: create a business plan. A business plan helps you define the direction you want to take your restaurant business. And if you plan to seek investors it’s also helpful, as they will want to see you have a full strategy to launch and grow your restaurant business. But if this is your first time creating a restaurant business plan, you may make one or more of these mistakes. Here’s how to avoid them. The absolute worst thing you can do is not create a restaurant business plan. You might think having a general idea in your head is good enough, but that’s not the case. Creating a business plan requires research on your customer demographic, your competition, and food costs, so by doing the research, you’re already set up for success. Without this data, though, your restaurant may not thrive. Another common mistake is not building enough budget into your plan. It’s important to include all your startup expenses as well as your ongoing costs. You may want to low-ball your startup budget to save money, but if you don’t factor in for unforeseen expenses (like the remodel running higher than you were quoted), you could end up in the hole before you’ve even opened your doors. Marketing is such a critical factor for the success of a restaurant. And while your marketing plan may change over time as you discover which strategies get you best results, you must include marketing in your restaurant business plan. Factor in approximate costs for each marketing strategy, like the cost for social media management software or hiring a marketing firm. You may fill out all the sections of your business plan but still find that investors don’t get excited about it. You’ve got to write your plan with investors in mind. What will get them excited? How can you show that this is a viable business investment? Highlight your industry experience and contacts, as well as those of your chef. Focus on profitability: how long will it be before the restaurant business is profitable? Showcase your restaurant so that investors will fight to get involved. Competition in the restaurant industry is incredibly fierce, and ignoring that fact will only hurt your business. Spend time analyzing other restaurants in your area, both in your niche and other niches. You need to know what they charge, what diners think of them, and what gaps they’ve left that you can fill. This helps you find your competitive advantage. You’re not a professional restaurant business plan writer, so don’t pretend to be. You may struggle in creating it without help. There are resources that can help you with your business plan. Your local Small Business Development Center or SCORE office can provide you with free help. A small business expert can help you create it or give the final draft a once-over and provide tips to improve it. 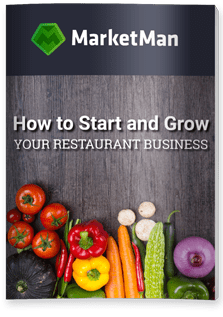 Having a restaurant business plan is the first step toward making your dreams of restaurant ownership a reality. Don’t skimp on this step! Make sure that your business plan covers every aspect of your restaurant so that it thrives from the start.